Bayard's Cove Fort was built in the early sixteenth century to provide a final line of defence for Dartmouth. Designed solely to stop enemy ships, it was swiftly taken by the Royalists in 1643 when they seized the town and was later captured by Parliamentary forces after a night raid. In the early years of World War II it was used as a Machine Gun post. 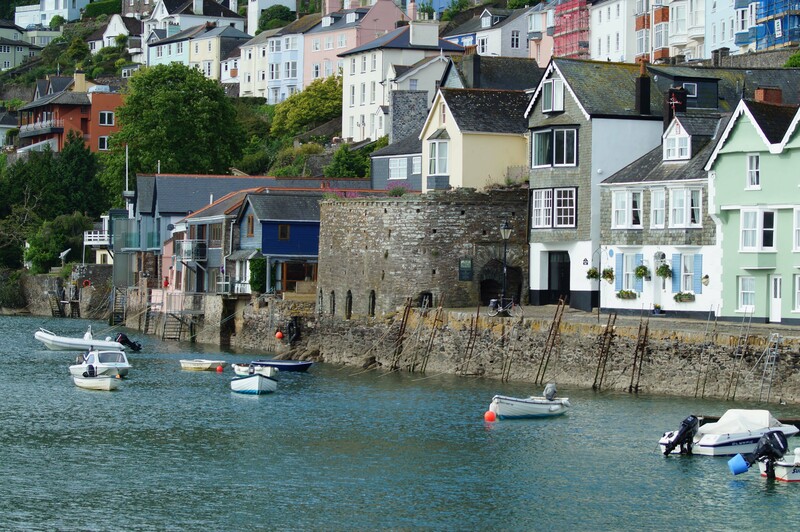 By the twelfth century Dartmouth had superseded Totnes and evolved into the primary port on the River Dart. 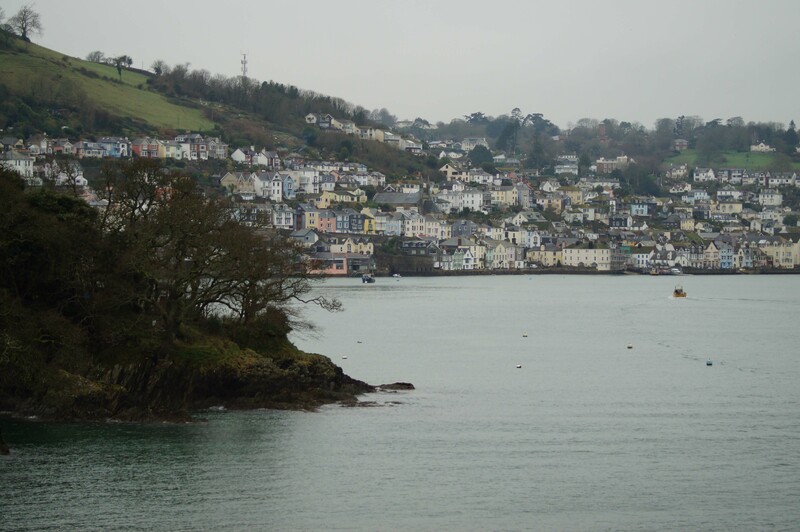 With its deep water harbour and ease of access to the English Channel, Dartmouth became a centre of mercantile trade particularly in wine and cloth with France. Its mariners became famed for aggressive (almost piratical) practises and this prompted fears that the wealthy suburbs would become a target for competitors. After some reluctance to fund defences, the Dartmouth Corporation built Dartmouth Castle followed shortly after by Kingswear Castle. Both were equipped with artillery sufficient to repel enemy shipping whilst a chain could also be hoisted into position between them to physically block access into the River Dart. However, even with these defences in place, the wealth of the town prompted a further fortification to be constructed - Bayard's Cove Fort. 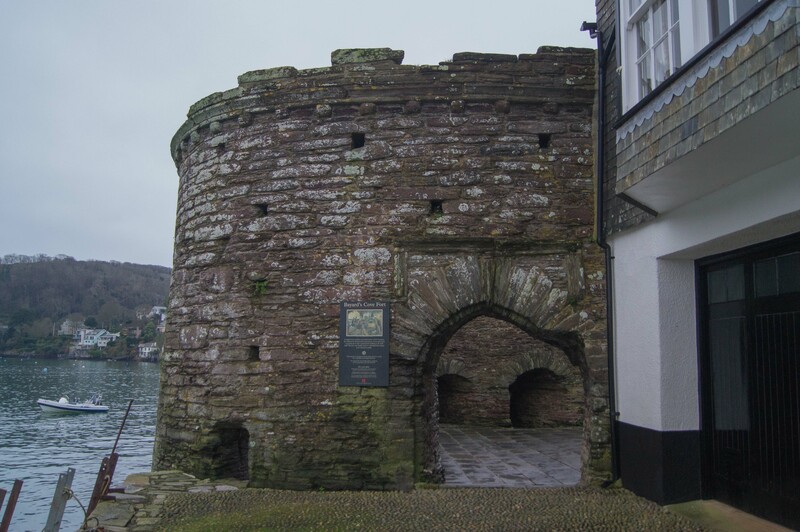 This was built in the early sixteenth century, possibly as early as 1509, to provide protection for the Dartmouth Wharf. Bayard's Cove Fort took the form a small artillery blockhouse built upon an irregularly shaped platform cut into the cliff face. The two storey structure was constructed from limestone rubble with its ground floor equipped with eleven gun ports for heavy artillery. A stone stairway led up to the upper storey which would have had a timber floor and been used for light artillery or hand held weapons. The entrance was on the northern side. It is likely the fort was constructed in several different phases with the first structure being a circular tower. Despite the unethical trading practises of the Dartmouth merchants as well as periodic tensions with France and Spain during the reign of Henry VIII, Bayard's Cove Fort didn't see any action until the seventeenth century Civil War. During that conflict Dartmouth originally supported Parliament but it was captured by Royalist forces under Prince Maurice in 1643. Bayard's Cove Fort, which had been designed exclusively for protection against vessels sailing up river, was quickly taken. Thereafter, with the bulk of the South West under Royalist control, the fort saw no further action until 1646 when a night raid by Parliamentary forces stormed the town and took the fort capturing "five great Iron guns". After the Civil War the relative wealth of Dartmouth declined significantly with Bayard's Cove Fort being allowed to drift into ruin. The neglect continued until the mid-nineteenth century when the town benefited from increases in the growth of tourism. The fort was briefly re-activated as a military structure in 1940 when it served as a machine gun post. Historic England (2015). 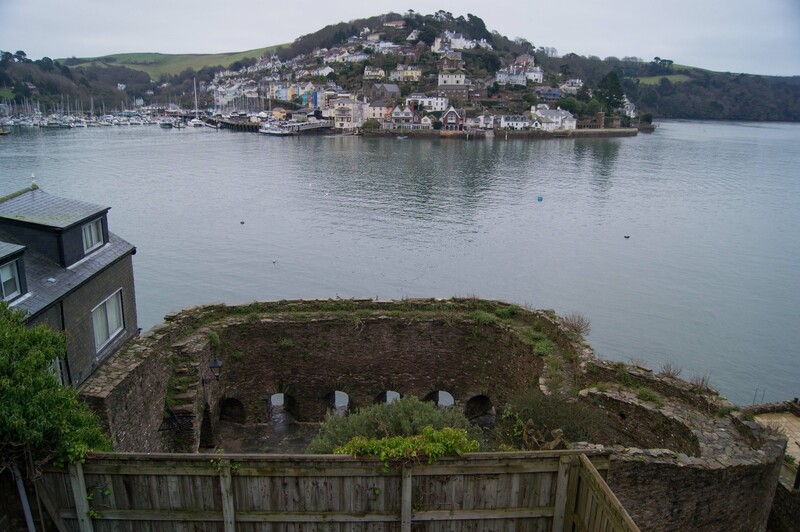 Bayard's Cove Castle: a blockhouse in Dartmouth, List Entry 1014668. Historic England, London. Pattison, P (2013). Dartmouth Castle. English Heritage, London. Salter, M (1999). The Castles of Devon and Cornwall. Folly Publications. Bayard's Cove Fort is an early sixteenth century artillery fortification that preceded later Tudor forts such as Little Dennis (at Pendennis Castle). 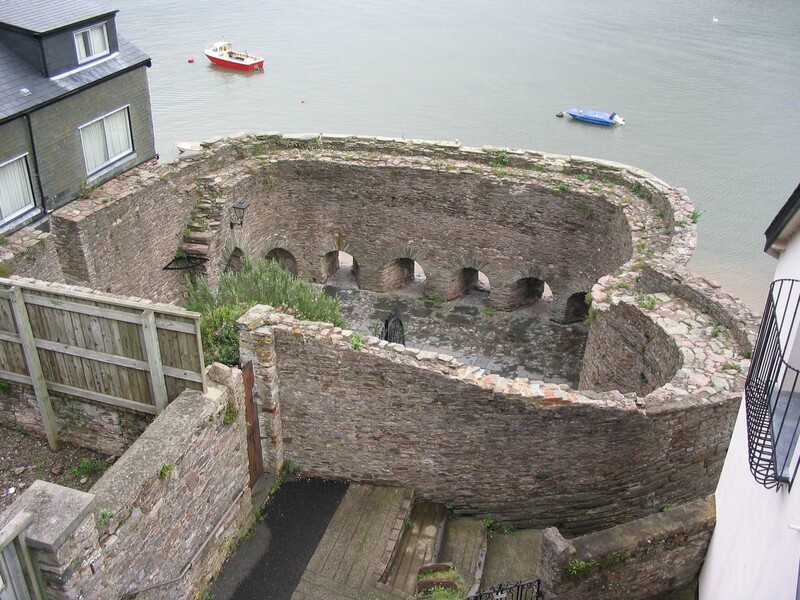 The remains consist of an roofless shell but the gun ports and original stairs to the upper storey are visible. Bayard's Cove Fort. The fort was built at the southern end of what was once the main wharf serving Dartmouth. Irregular Shape. The irregular shape of the fort is probably due to it being rebuilt several times during the sixteenth century. It was originally a circular tower. Entrance. The fort is entered via a gateway on the northern side. Gun Ports. 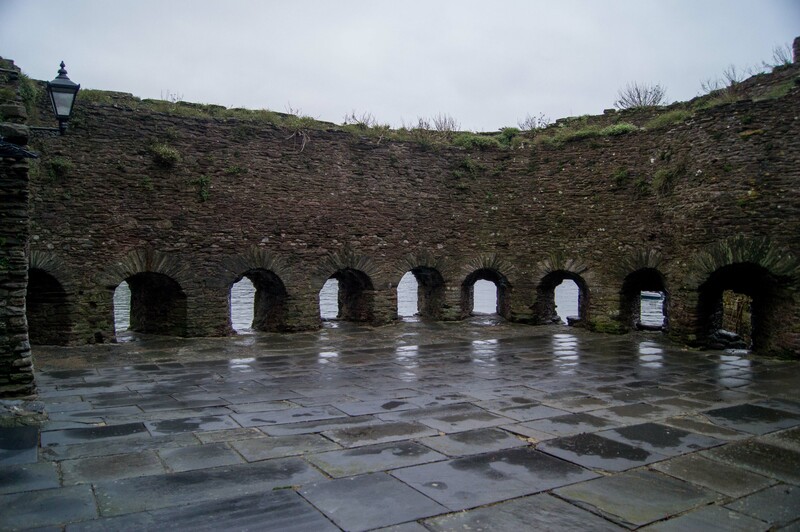 The ground floor of the fort had eleven gun ports although whether it was ever fully armed is unknown and it is probable weapons would have been commandeered from ships if required. When the fort was captured by the Parliamentarians in 1646 it was equipped with five artillery pieces. River Dart. 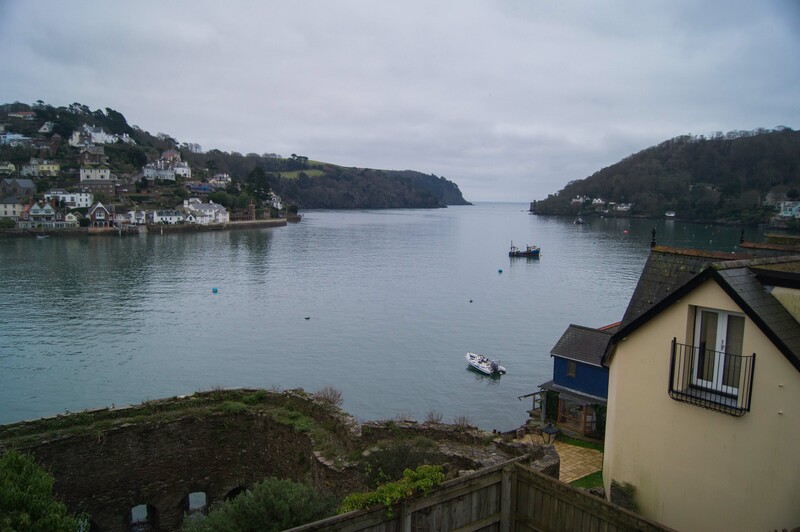 The mouth of the River Dart was guarded by Dartmouth Castle and Kingswear Castle. A harbour boom/chain was controlled by the former. The purpose of Bayard's Cove Fort was to protect the town wharf from any vessels that punched through this outer line of defences. Bayard's Cove Fort is a popular tourist attraction found on the Quay side walk. There is no car parking in the immediate vicinity but the main town car park is nearby.